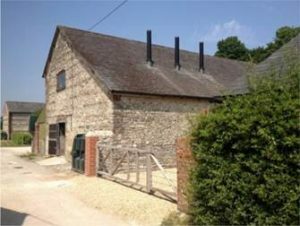 A farmhouse and four other properties including high quality self-catering holiday cottages in West Dorset are being heated by three Windhager wood pellet boilers. Pigeon House is set within 1000 acres of farmland that also hosts the luxury holiday lets, Dove House and Swallows.A biomass heating system was installed to cope with the high demand more economically while reducing the impact the business has on the environment. The Windhager BioWIN 60 kW boilers are situated in an adapted brick and stone building nearby and being fully automated they require minimal maintenance as well as being compliant for the RHI scheme. In a bid to reduce the environmental and economical consequences of the large heating demand that the multiple buildings entail, biomass alternatives were researched and soon seen to be the most suitable for achieving the aims. “We wanted to find a heating alternative that was more economically efficient and environmentally friendly than our old existing system. Moving to biomass was the ideal solution for our farm and self-catering holiday business, the Windhager boilers function extremely well with the fluctuating heating demand from the holiday properties and allows a great deal of control over the boilers’ outputs at any one time”, commented Hugo James, Pigeon House Owner. Windhager approved installers, AP Chant Renewables Ltd, consulted, designed and installed a biomass system that comprises three Windhager BioWIN 60 kW boilers installed in a cascade system with accumulator tanks. A disused stone and brick building in the farmyard was converted into two rooms, one to act as a plant room for the boilers and the other to house the wood pellet fuel storage hopper. The Windhager BioWIN Excel model features a unique automated pellet feeding system that provides a continuous supply of the 6mm wood pellets to the boiler via suction probes in the storage hopper. This function allows the pellet storage area to be separate from the boiler room if necessary and with up to 8 suction probes available per unit the storage volume remains uncompromised with no need for sloping sides within the fuel hopper. This combined with the self-cleaning burner bowl consisting of two sliding ash grates and a large integrated ash box that requires manual emptying as little as once per heating season, means the BioWIN Excel provides a very low maintenance solution. The cascade system is designed to allow the boilers to be serviced one at a time without the entire system having to be shutdown, ensuring consistent heating and hot water is provided, an essential factor in maintaining a high standard of service in the hospitality sector. The BioWIN Excel reflects Windhager’s reputation for durable quality by including a double ignition element and long-life stainless steel burner bowl. This coupled with thermal controlled combustion makes it an excellent, versatile option for heating multiple properties that are looking to swap their expensive and high-fuel consumption systems for the long term, economical and renewable alternatives that Windhager provides.